I also added another Dutch city to my list of places I've visited. We went again to Den Haag for the 2nd round of voting, and this time decided to stay for a bit longer to see the city. Den Haag is a nice Dutch city (haven't seen a non-nice city yet! ), which is relatively different to other big Dutch cities. It has more a big city vibe to it and especially the place where the embassy is located is filled with beautiful well kept town houses. There is also a really big, beautiful castle-like building when entering the embassy area. I of course asked what that is, but the native Dutch person did not have his tour guide knowledge up-to-date so it remained to be a mystery. We went to visit the Queen at her palace, and it seemed to be very nice, cozy-looking place. Must be a nice place to ponder about the state of the kingdom. 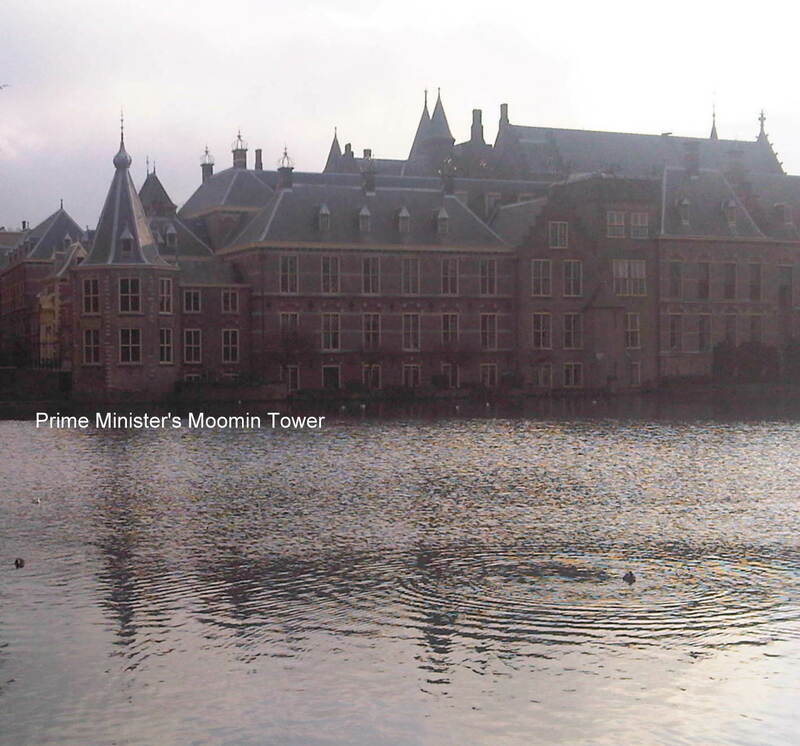 The Prime Minister had an amazing place for an office. It was a small tower by the water, which reminded me very much of the Moomin House, although it was not blue. Finally I wanted to see where all the bad guys are brought to justice, and we spent some time looking for the International Court of Justice is. Soon we ended up back to where our car was parked without seeing it and thought that let's put it on the navigator and maybe it's close so we can just do a drive-by-sightseeing. 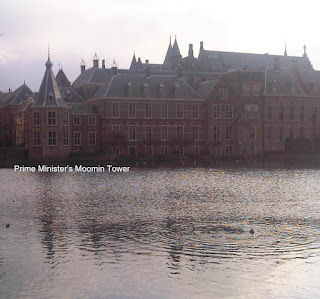 And of course, we were led exactly to that beautiful castle-like building which you cannot really miss when going to Den Haag.. Mystery solved. Next time we need to also go to Scheveningen and enjoy some beach scenery. Makes me very nostalgic for Den Haag where I lived for four years! And yes it does look very much like the Moomin house, doesn't it? Enjoyed your posts and glad you are enjoying the Netherlands. It's a great place to live.